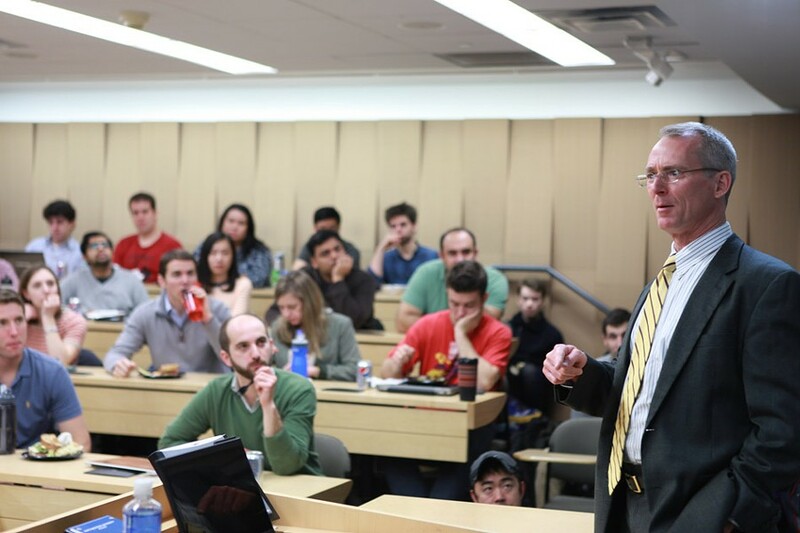 PROVIDED PHOTO Former Republican Congress member Bob Inglis champions a carbon tax as a free enterprise approach to climate action. Climate change should be a simple concept to explain. Various human activities over the past century, such as burning massive quantities of coal for power or driving gas-guzzling automobiles, have led to a build-up of carbon gases in the atmosphere, which in turn are warming the planet. The solution seems equally easy to explain: Humans need to drastically decrease the amount of gases such as carbon dioxide and methane that they are spewing into the earth's atmosphere. But the reality is far different. Even when people agree that climate change is real and that it's a problem, they don't agree on how to solve it. And at this point, humanity's struggling just to prevent the worst effects of climate change. Add America's liberal-conservative political conflicts to the mix, and meaningful action on climate change seems out of reach. But that's changing. Back in 2009, Republican Representative Bob Inglis of South Carolina sponsored a bill to create a federal carbon tax, the proceeds of which would be used to offset a cut in Social Security payroll taxes. But in 2010, he lost a primary – and subsequently, his seat in Congress – in large part because he defied Republican orthodoxy on climate change. In the years since, however, variations in Inglis's proposal have become increasingly popular among liberals and conservatives. The most popular configuration, and the one Inglis now spends his days advocating for, is a carbon tax placed on fossil fuels when they are initially pulled out of the ground. The proceeds of the tax would be distributed to households as an annual dividend. And Inglis has founded his own organization, republicEN, aimed at encouraging conservatives to understand climate change and take it seriously, as well as to promote a carbon tax combined with other tax cuts or household dividends. He calls it a "free enterprise answer to climate change." "Acting on climate change should not be a ruse for growing the government," Inglis said during a recent interview. The Rochester group of the Sierra Club is partnering with the Greater Rochester Chamber of Commerce and several other local organizations to bring Inglis to Rochester. He'll deliver an address, "A Free Enterprise Solution to Climate Change," during the Rochester Sierra Club's 20th snnual environmental forum, which will take place from 5 to 8 p.m. on Wednesday, April 17. The free event – a $10 donation is suggested – will take place at the Rochester Riverside Convention Center, 123 East Main Street. Inglis will also participate in some events with the University of Rochester College Republicans the following day. Local climate activists want to work with people across the political spectrum, and the largely progressive-to-moderate core members see value in bringing their more conservative neighbors, friends, and family into the climate action movement. Local climate and environmental organizations have struggled to do that, says Linda Isaccson Fedele, a Sierra Club member who has helped organize the Inglis events and is a board member of the Rochester People's Climate Coalition. "We've wanted for years to try to engage more people and engage people who weren't willing to talk about it or just didn't know about it," Isaacson Fedele says, "and this guy has the power to do that." The prevailing narrative, as it goes, is that liberals tend to accept man-made climate change as a reality and see government intervention as a solution, while conservatives scoff at the science and see no need to address global warming. But that narrative isn't accurate. Many Republicans and conservatives do believe the climate is changing and that humans play a role. But they're alienated from discussions about solutions because those discussions are usually framed around things like government intervention, requirements, and regulations. "The first step is for people to hear it in their own language, so that they can absorb it and evaluate it," Inglis says. "If you're speaking to me in the language of the left and I'm a conservative, it's hard for me to get past that barrier. But if you explain it to me in the language of conservatism and values that I hold dear then, OK, I can engage now." Inglis says he believes a carbon tax, combined with tax cuts or dividends, is the most effective way to cut carbon emissions because it relies on market forces. The government will have to step in to create and collect the tax, but in doing that, it would simply be saying that it wants all fuels to reflect their true costs, including the negative effects on climate, the environment, and health, Inglis says. Ideally, the tax would eliminate the need for energy subsidies and would make climate-friendly technologies such as renewables, energy storage, electric cars, and nuclear power so cost-competitive that they'd take off, Inglis says. And the carbon tax would have a global effect, since it would apply to fossil fuels imported to the US from countries that don't assess their own carbon fees, he says. "If we play our cards right," Ingis says, "we're going to perfect those new forms of energy and storage here in America, and then we're going to sell them around the world to willing customers, and we're going to create wealth and create jobs here in America." In other words, a carbon tax would position America as a world leader in a moral sense, as well as in technology development and production, and in global trade. And those are results that are appealing across the political spectrum, Inglis says. His organization republicEN refers to itself as "energy optimists and climate realists," Inglis says. "It's not just the doom and gloom of climate change. It's the promise and opportunity of powering our lives in new and renewable, sustainable ways that clean up the air and give us more mobility and more freedom around the world." And that's the message Inglis says he'll emphasize when he visits Rochester next week.